Austria's new government has pledged support for the EU, but aims to give a hard time to refugees and to be friendlier to Russia. 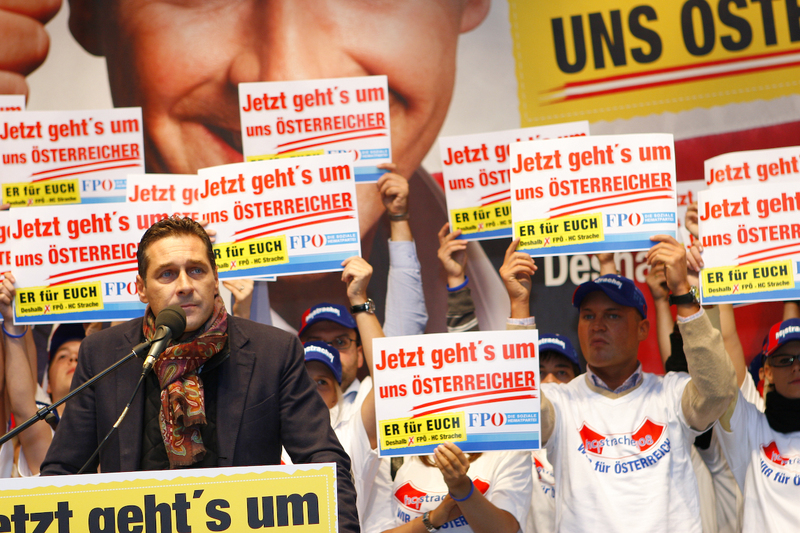 The policy lines emerged on Sunday (17 December) in a coalition deal between the centre-right Austrian People's Party (OVP) and the far-right Freedom Party (FPO). 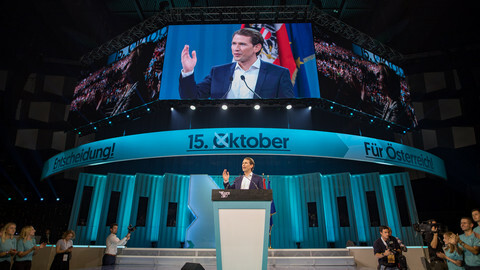 The pact is to see the OVP's 31-year old Sebastian Kurz become Austria's youngest-ever leader, with the FPO's Heinz-Christian Strache as deputy. But the fact Strache took two minor dossiers (sports and civil service), allowing him to focus on his deputy job, as well as his dominant performance in press briefings, has led Austrian press to dub him "co-chancellor". The fact the FPO took control of the country's security apparatus (the army, police, and intelligence services) by securing the interior, defence, and foreign ministries in the new government also underlined its power. 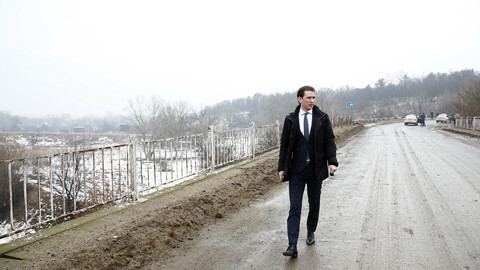 Kurz told press on Sunday he was "looking forward to further cooperation with the German federal government, in particular with German chancellor Angela Merkel, [and] above all, to further deepen our excellent bilateral relations within the European Union". His remarks seemed designed to end his confrontation with Merkel over her more welcoming policy on asylum seekers. The FPO's choice of foreign minister, Karin Kneissl, a non-party member and a polyglot academic who specialised in the Middle East, also looked like an attempt to soften the government's image. But the 180-page coalition pact took a hard line on migrants. It said authorities would confiscate any cash brought by asylum seekers too pay for their care and that officially-recognised refugees should get just €365 a month in welfare. 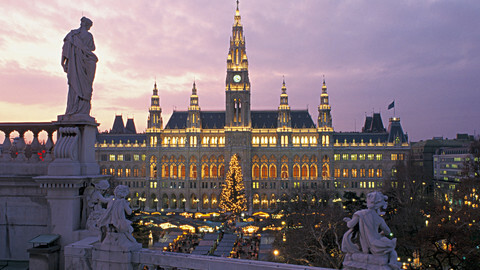 It said Austria would cut the minimum wage to discourage people from coming there to work. It also said the EU should scrap Turkey's accession talks. And it went on to say Austria wanted to "shape a policy of detente between the West and Russia", describing EU sanctions on Russia as a source of unwelcome "tensions", in a reflection of the FPO's partnership agreement with Russian leader Vladimir Putin's United Russia party. Speaking in a joint interview in De Kurier, an Austrian newspaper, on Sunday, Strache said "nobody needs to be afraid" that his party controlled Austria's security services due to constitutional checks and balances. Kurz and Strache also defended the idea of cutting wages and welfare. Kurz said if refugees got too much money they would not try to get a normal job. "People who spend all day at home or in the park can not be our path to integration. 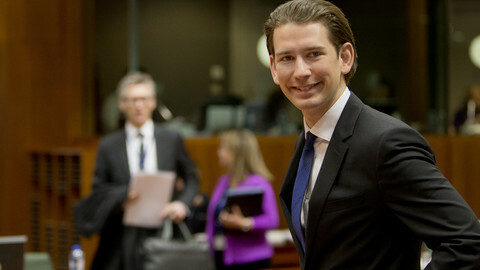 In addition: The minimum income is a pull factor, which means asylum seekers come specifically to Austria," Kurz said. 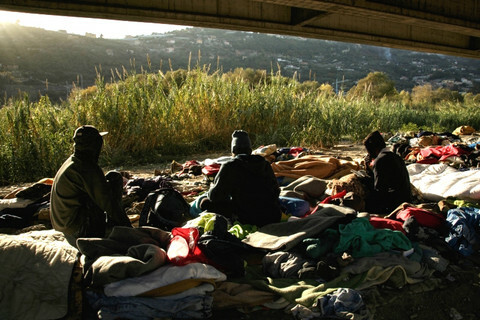 "Systematic immigration into the social system must not take place," Strache said. The coalition deal comes 64 days after elections in Austria, in which the OVP won 32 percent of votes and the FPO came third with 26 percent. The last time a far-right party joined the government in Austria, 17 years ago, EU states reacted with a diplomatic freeze. 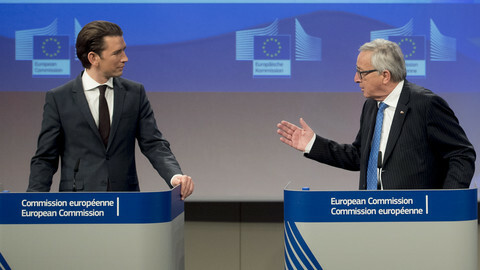 The reaction was different this time, with the British and Irish leaders and the European Parliament chief, Antonio Tajani, among the first to welcome the Kurz-Strache deal. Tajani said he was happy the coalition pact "does not foresee any exit from the EU, an 'Oexit', or a referendum" on Austria's EU membership. 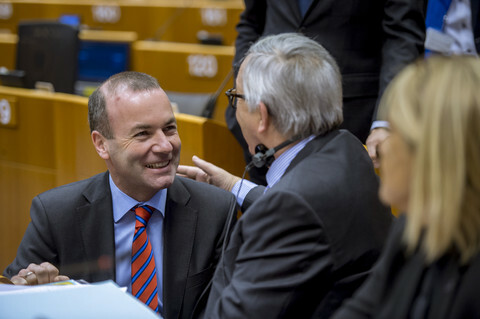 "Another EPP leader - I'm not the youngest in the group," Irish taoiseach Leo Varadkar tweeted, referring to the OVP's membership in the EU's centre-right EPP group. Germany's right-wing CSU party was happy, saying it could count on Austria as "one more ally in Europe" to stem the flow of migrants. The leaders of British, Czech, Dutch, French, and Polish far-right parties, who held a congress in Prague at the weekend, were also happy. The Austrian deal was "excellent news" which showed that "nation states are the future, that the Europe of tomorrow is a Europe of the people", Marine Le Pen, the head of the far-right French party, the National Front, said. The reaction round the world was also different to 17 years ago - Israel back then recalled its Austrian ambassador, but it said nothing this time round. Other commentators did voice concern. Germany's left-wing SPD party warned that "Austria-Hungary is back", referring to Kurz's alliance with the hard-right government in Hungary. Italy's left-wing EU affairs minister Sandro Gozi said: "If the extreme right comes to government, that's never good news". Fabrizio Cicchitto, the left-wing head of the foreign affairs committee in the Italian parliament, said the FPO was "carcinogenic" due to its recent pressure to overturn Austria's ban on smoking in public places. The World Jewish Congress also voiced "grave concern", urging Kurz "not dissolve into dangerous populism". Turkey's EU affairs minister, Omer Celik, used more strident terms. An "Islamophobic, anti-Semitic, and xenophobic ... movement" was now "in power in Austria", he said. 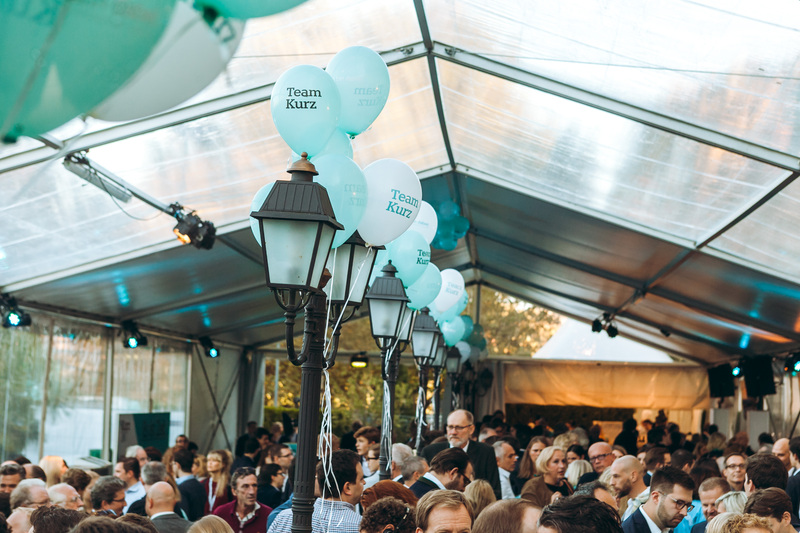 Counting continues, but conservative leader Sebastian Kurz is likely to form a coalition with the far-right and could become one of the EU's most vocal critics. An Austrian police unit headed by a far-right town councilor and tasked to tackle street crime was sent to raid the offices and homes of people working for Austria's domestic intelligence agency - prompting German counterparts to review cooperation.